Founder Director of IMDR and served as director for 15 years. He retired in 1989. Dr Shejwalkar comes from the commerce background. He was deputed by the University of Pune to IIM, Calcutta for a crash course in management. IMDR took over the University Management programme and started functioning in 1974 with Dr Shejwalkar as its first director. IMDR became autonomous in 1977 in his tenure. 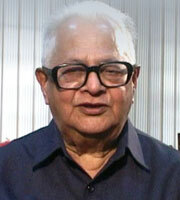 Took over in 1989 after retirement of Dr. Shejwalkar and served as director for 16 years till 2005. 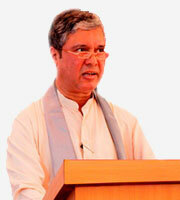 He worked in Textile, Engineering and Machine Tool Industries in Mumbai and Pune before turning to academics in 1982. His experience was in both the public and private sectors. During his tenure at IMDR he lectured and wrote on the themes of Planning, and Culture and Management. In 1987, he became the Life Member of the Deccan Education Society. He is an associate member of ISISD. 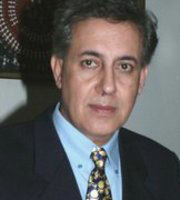 Served as Director In-charge for one year from 2005 to 2006 Mr Sapre has taught Finance in IMDR since 1989. He worked in several companies in Pune before turning to academics. He has published papers on Sickness and Working Capital Management. He is a professional member of the Indian Society for Individual and Social Development(ISISD). 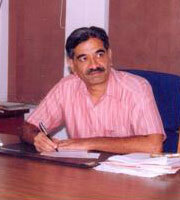 He worked as Director, Centre for Development Research and Documentation, Pune during 1995-97. He consults regularly with industries and NGOs in and around Pune. Served as Director In-charge from 2006 to 2010 Mr Nagre is a Management Graduate from the University of Pune, with specialization in Marketing Management and Finance. He also holds a Masters Diploma in Business Administration, with specialization in Foreign Trade from the Indian Institute of Foreign Trade, New Delhi, and a Bachelor’s Degree in Science in Mathematics, Physics and Chemistry, from the University of Pune. 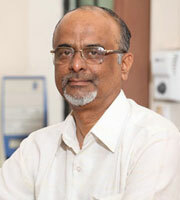 Dr. Susheel Kandalgaonkar, MA, MBA, PhD. Served as the Director for 3 years from 2010-2013. He was a senior faculty member at IMDR and has taught postgraduate courses in Management and Organizational Development at the Institute for over three decades. He has jointly designed and conducted courses on Modern Human Dilemmas, Individual and Society, based on creative literature and documentary feature films. He has done research and consultancy in Organizational Development and Competency Mapping for small and large size manufacturing organizations (Twin Engineers Pvt. Ltd Pune and Baja Auto Ltd Chakan). His expertise lies in the field of Theoretical Understanding and Practical Application of Institutional/Organizational Development and Qualitative Methodologies in Management Research. He retired in 2013. 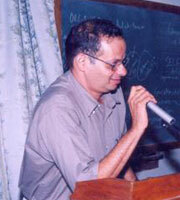 Dr. Virendra B. Godbole, MA Economics,MBA,PhD. He is passionate about teaching and is recognized for his student mentorship and interactive participatory sessions using current events and case studies. These sessions help Business students learn conceptual and analytical skills and prepare them for future in Industry. During his tenure at IMDR, Dr. Godbole gave a marketing orientation to the institute and brought it closer to the industry. 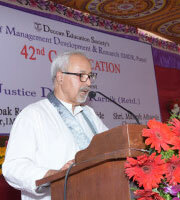 Dr. Deepak Roy, B.Sc, MDBA, MBL, PhD. Served as the Director from 2014-2018. Dr. Deepak Roy had taken over as Director, Institute of Management & Research (IMDR) from July 2014. He has been in academics for the past 12 years and brings to his research based teaching, 15 years of executive experience in the corporate world in India and in the USA. He has done his Ph.D. with Symbiosis International University, and holds an MBA and post-graduation degree in Law from National Law School of India University. His interest areas are Entrepreneurship, Legal Aspects of Business, Intellectual Property Rights, and New Venture Funding , Growth Strategies. During his tenure at IMDR, he was successful in implementing the Dual Specialization and Winter Research Projects for the second year students. Dr. Roy initiated a lot of promotional activities through which the IMDR was able to build a stronger brand using various modes of media communication.